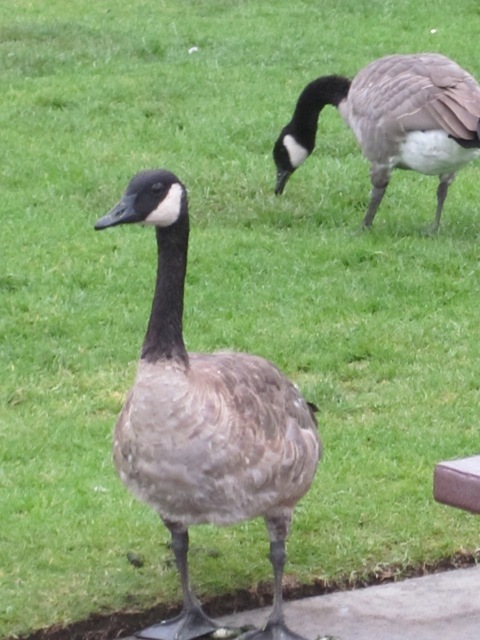 The Canada Goose is found in every contiguous U.S. state and Canadian province at one time of the year or another. They are adaptable to many habitats and thrive wherever grasses, grains, or berries are available. Typically, the birds summer in northern North America and fly south when cold weather arrives. Some northern populations have shortened their flight to traditional wintering grounds in the southern U.S. and Mexico. When the birds migrate, they form impressive and aerodynamic “V-formations” and can cover 1,500 miles in a day with a favorable wind, but typically travel at a much more leisurely rate. These noisy groups honk their way along established paths that include designated “rest stops” which for some is Doheny State Beach. Photo courtesy of the Jim Serpa Photography Collection.